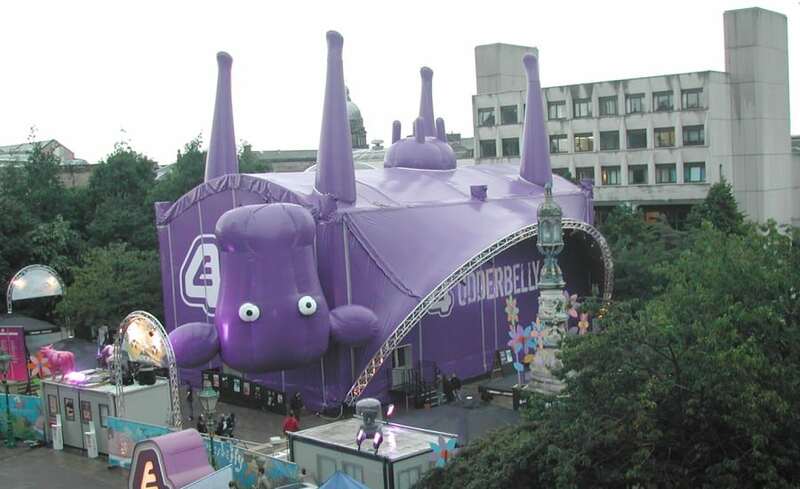 As a manifestation of the Udderbelly Theatre Company Logo, Architen Landrell was asked to produce a large purple inflatable structure in the shape of a cow to provide a venue for the company at the Edinburgh festival 2006. 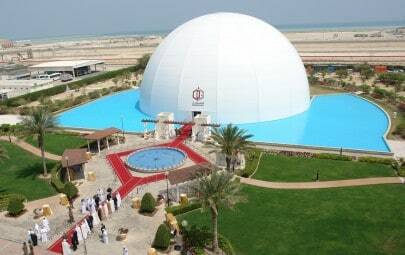 The giant structure, with its four legs sticking some six meters into the air above the roof, was crafted from PVC coated polyester and retained its shape using a series of air pumps. 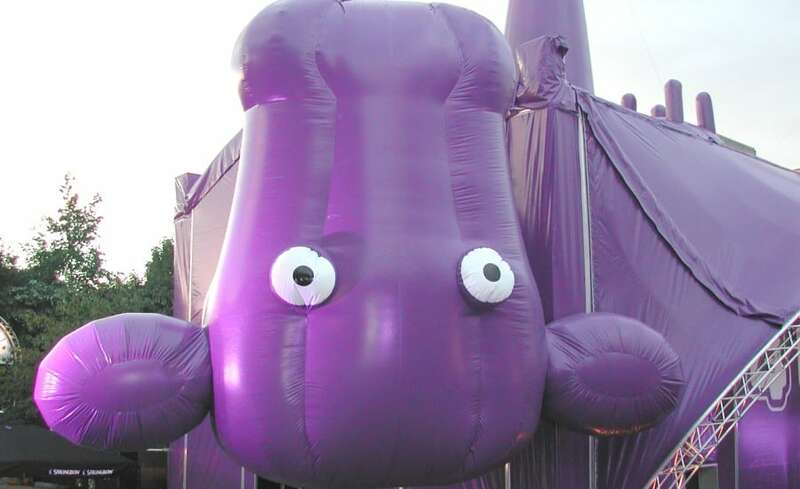 The legs, head and udders of this cow were constructed as self-supporting inflatables attached to the purple structure. 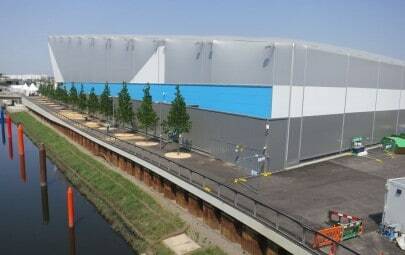 The roof was installed in four panels tensioned out to the perimeters prior to the whole roof being hoisted up its six masts to its full impressive height, with the walls along each side comprising four panels. 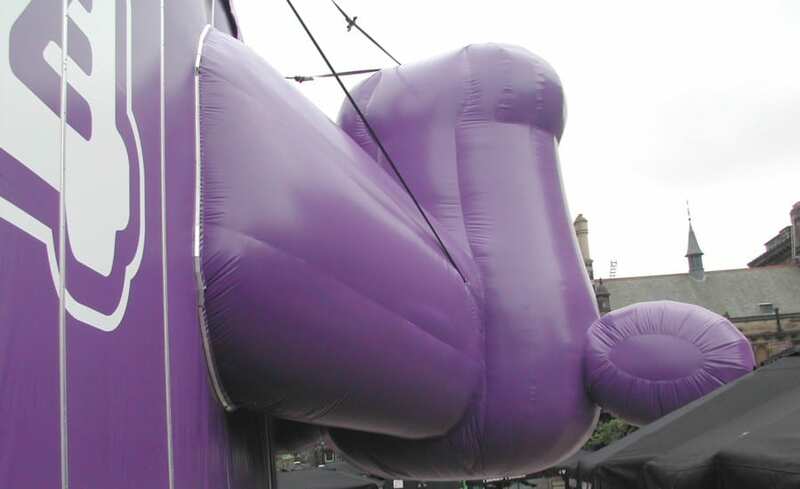 The gable ends also comprise four panels. 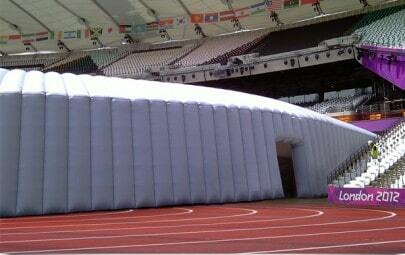 A large eyebrow canopy supported on a truss arch provides an outdoor performance area. 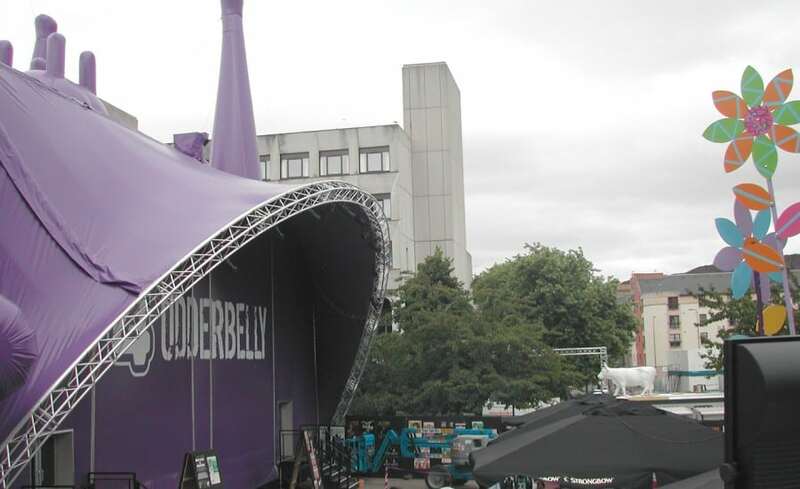 The inflatable head of the cow is cantilevered out over the front corner of the venue. 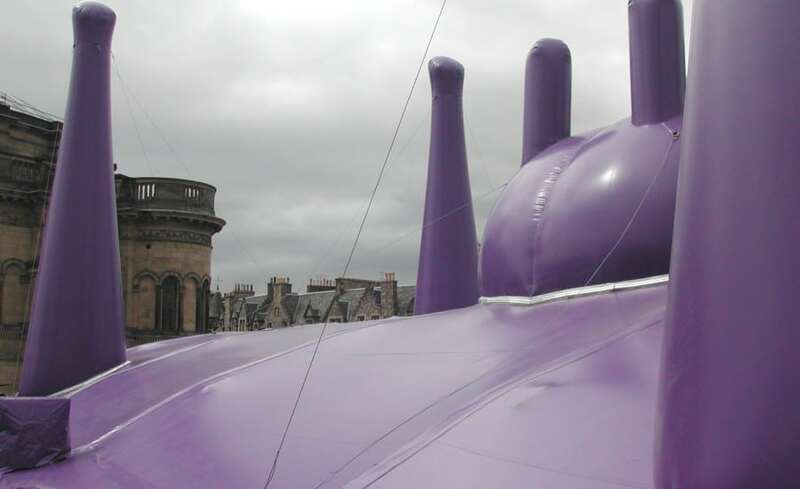 The sheer lunacy of the upside-down purple cow gives the venue great presence and ensured that it was a focal point of the Festival.